© 2002 by Synod of Bishops of the Russian Orthodox Church Outside of Russia. Reprinted with permission from The Official Website of the Synod of Bishops of the Russian Orthodox Church Outside of Russia. O, beloved Hierarch John, while living amongst us thou didst see the future as if present, distant things as if near, the hearts and minds of men as if they were thine own. We know that in this thou wast illumined by God, with Whom thou wast ever in the mystical communion of prayer, and with Whom thou now abidest eternally. As thou once didst hear the mental petitions of thy far-scattered flock even before they could speak to thee, so now hear our prayers and bring them before the Lord. Thou hast gone over unto the life unaging, unto the other world, yet thou art in truth not far from us, for heaven is closer to us than our own souls. Show us who feel frightened and alone the same compassion that thou didst once show to the trembling fatherless ones. Give to us who have fallen into sin, confusion and despair the same stern yet loving instruction that thou didst once give to thy chosen flock. In thee we see the living likeness of our Maker, the living spirit of the Gospel, and the foundation of our Faith. In the pure life that thou hast led during our sinful times, we see a model of virtue, a source of instruction and inspiration. Beholding the grace bestowed upon thee, we know that God hath not abandoned His people. It is rather we that have fallen from Him, and so must regain the likeness of Divinity as thou hast done. Through thine intercession, O blessed one, grant that we may increase our striving toward our heavenly homeland, setting our affections on things above, laboring in prayer and virtue, waging war against the attacks of our fallen nature. Invoke the mercy of God, that we may one day join thee in His Kingdom. For our deepest wish is to live forever with Him, with the Father, and the Son, and the Holy Spirit, now and ever and unto ages of ages. Amen. Thy care for thy flock in its sojourn has prefigured the supplications which thou didst ever offer up for the whole world. 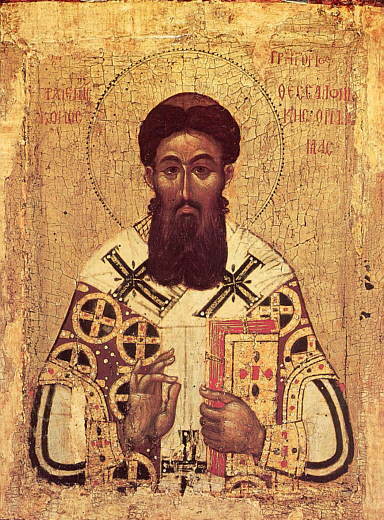 Thus do we believe, having come to know thy love, O holy hierarch and wonderworker John. Wholly sanctified by God through the ministry of the all-pure Mysteries, and thyself strengthened thereby, thou didst hasten unto suffering, O most gladsome healer—hasten now also to the aid of us who honor thee with all our heart!